Buddy shows Possum his mouse. Here in Vermont, Buddy goes out to the tall grass every morning at dawn and hunts. Here, he was able to bring his prize into the Big Room that is being renovated. 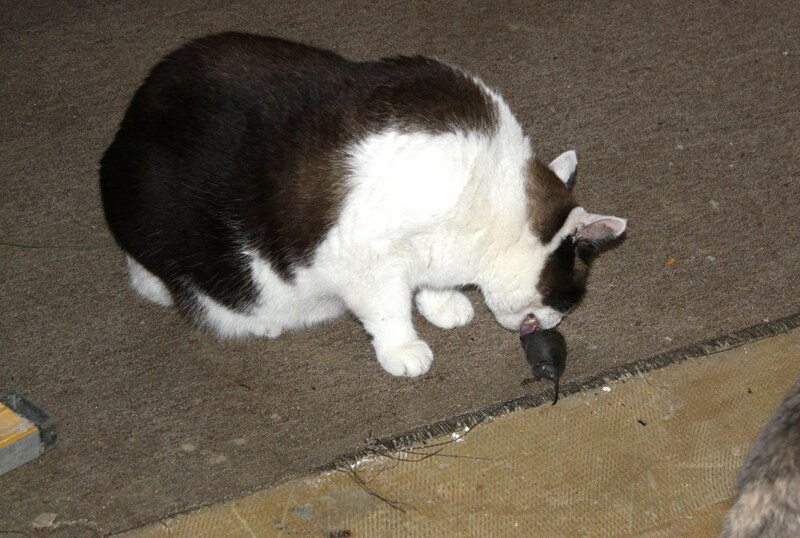 When the garage doors are open, he can walk right into the house from outside.Buddy likes to eat the mice head first. He always leaves bits and pieces of mice that he doesn't favor, that we have to clean up. I have once again been blogging erratically, but that is because I got married on May 29! Later today I will post the first batch of photos that guests took. The house has been in a flurry of activity and excitement for two months. Things are beginning to return to normal life now. I also changed the theme of this blog and I hope you enjoy it. You can now rate and react on the post. There have been a lot of changes going on here! I hope you have a lovely, sunny, warm day today and all this week! And congratulations on your recent wedding! Wish you all the happiness in your recent marriage. 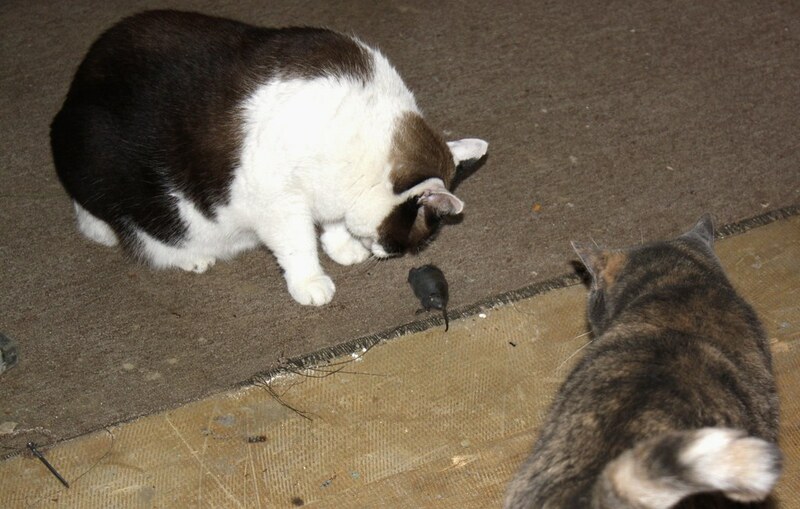 Mouse would be good protein for Buddy. The only thing we get around here are pretend mousies. we are impressed with your hunting. Please mail us a mouse. Mama would scream as she is afraid of them. Cats are Cats, we accept that fact.